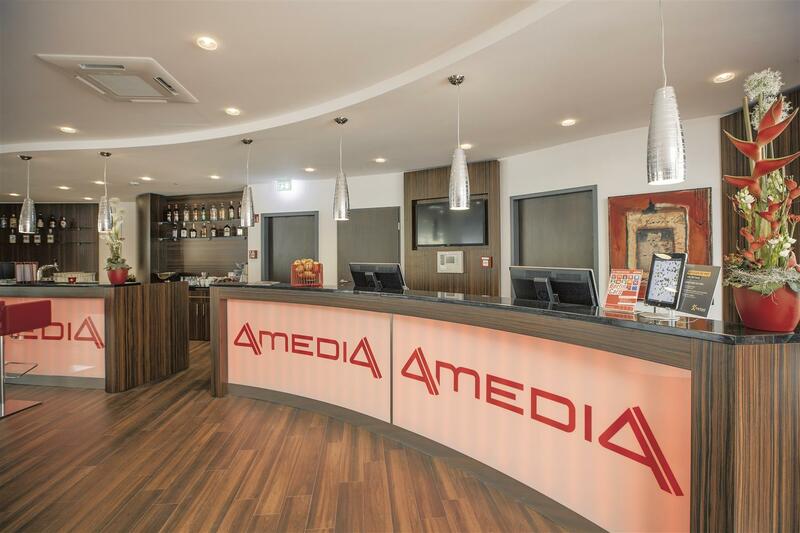 The Best Western Plus Amedia Berlin Kurfürstendamm opened on 1 May 2013 and is located in the middle of Berlin City West, directly at the centrally located Kurfürstendamm, where you can find wourld-famous boutiques and exclusive department stores. An unforgettable experiance! 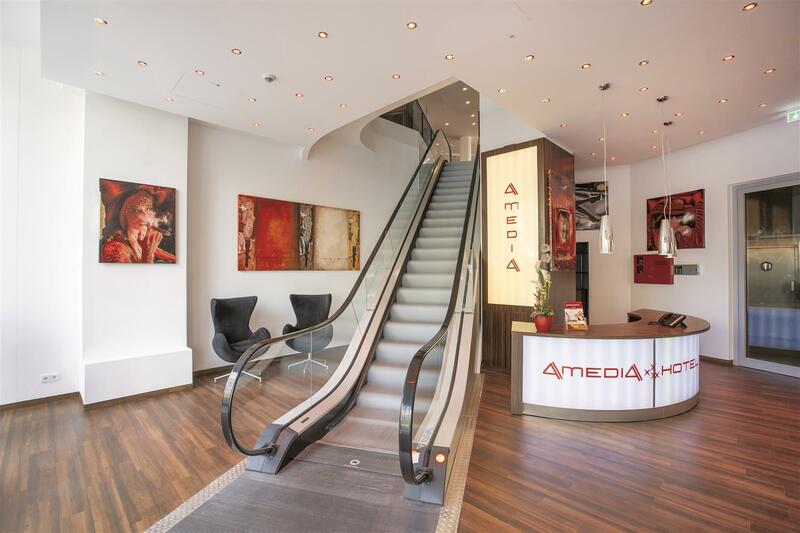 The Best Western Plus Amedia Berlin Kurfürstendamm has a modern red/dark brown design and 194 rooms in 6 floors. 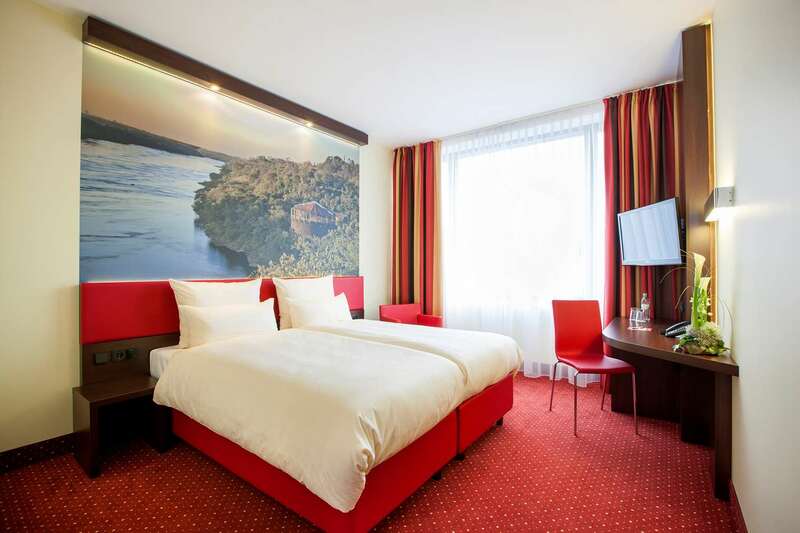 All rooms are equipped with air condition, hair dryer, safe, vanity mirror, flat screen television with satellite TV and free-of-charge Video on Demand system. 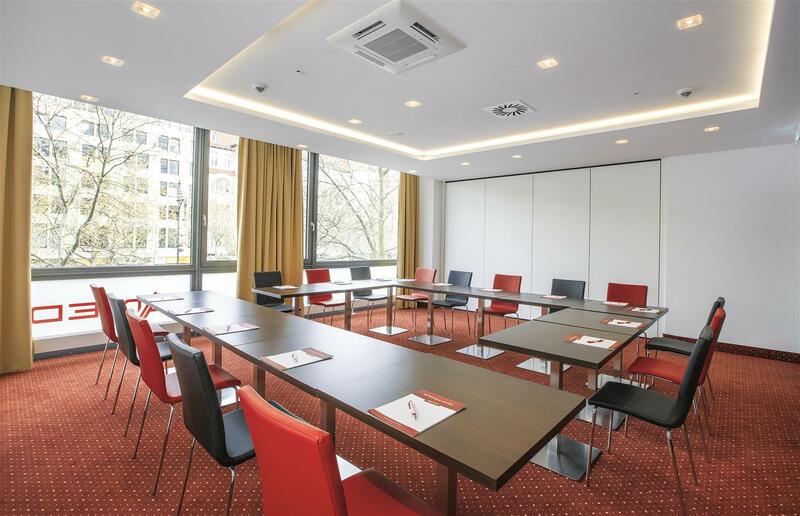 The rooms on the first floor have panoramic windows with a beautiful view to the Kurfürstendamm. 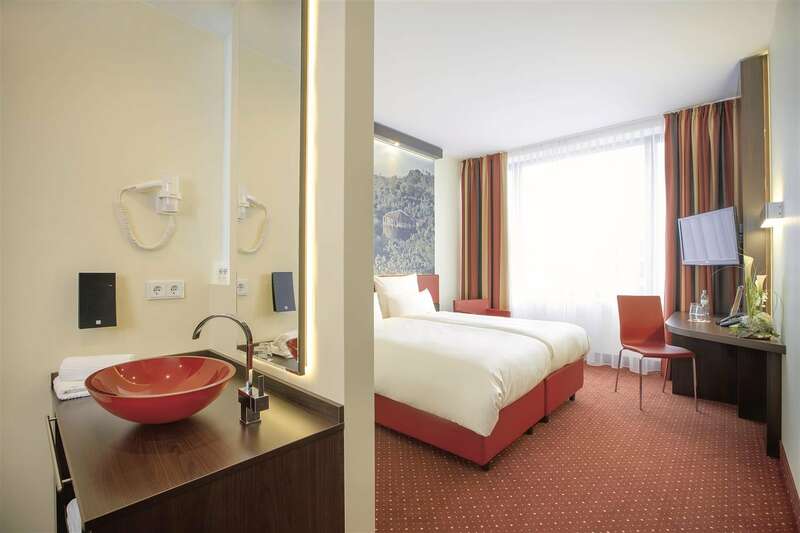 Among the 194 rooms, the hotel has 6 Junior Suites, 5 mobility accessible rooms, 31 family units including two superior rooms with connecting doors and 94 business-standard rooms. Our hotel rooms have various motives from all 5 continents, so don’t be surprised to find yourself in “Niagara falls” rooms, for example. 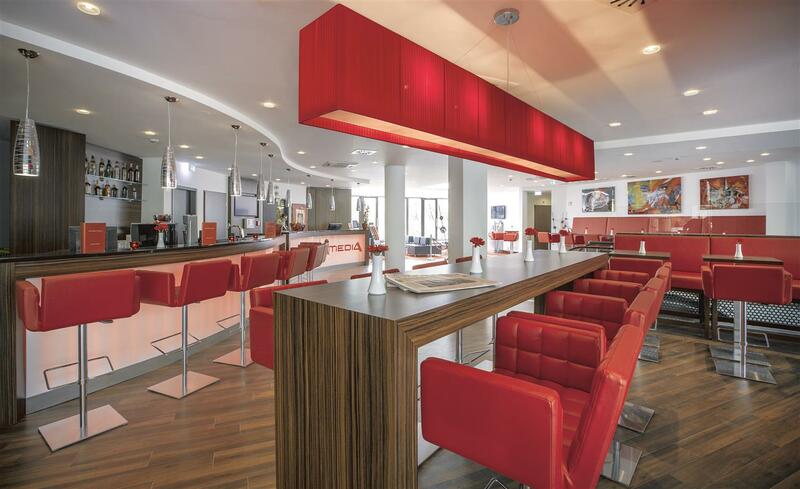 Feel free to relax at the hotel’s lobby bar in the evening, or enjoy dinner at the restaurant. Naturally, as part of our FREE MEDIA concept, all guests can enjoy a free high-speed Wi-Fi service and unlimited telephone calls to 24 selected countries (to landlines numbers). 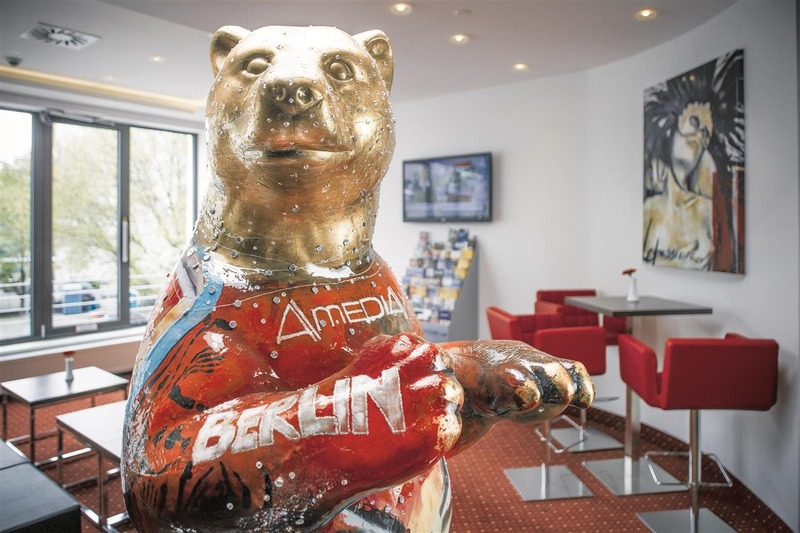 The Best Western Plus Amedia Berlin Kurfürstendamm has a meeting room (45 sq/m, 484,37 sq/f) for meetings, seminars, workshops and small events. We are able to offer you the free media concept also in the meeting room (free telephone and Wi-Fi), flip-chart, beamer and basic meeting room technic option. 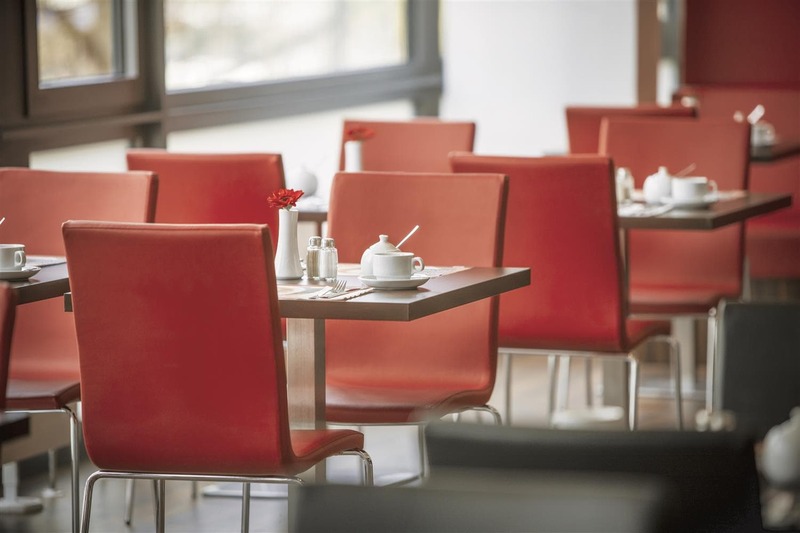 Enjoy our breakfast buffet at the rate of 17.00 EUR per pers. and day. Parking for the physically challenged two parking spaces. 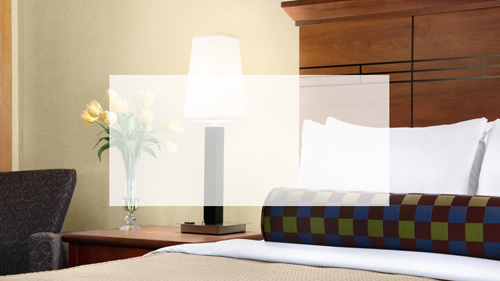 Room service, from 11:00 a.m. to 11:59 p.m.